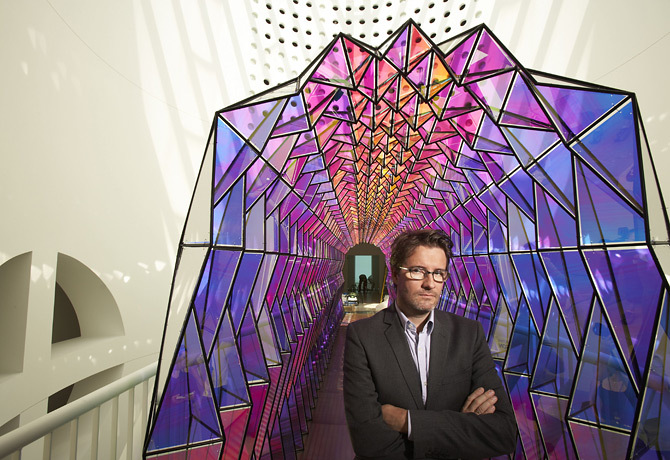 Olafur Eliasson and Andy Bell: Separated at Birth? Eliasson fans, I’ve just had word that Olafur’s One-way colour tunnel, pictured at top, and installed here on the fifth floor bridge since Take your time: Olafur Eliasson opened last September, is coming down May 27. Come and see it while you can.